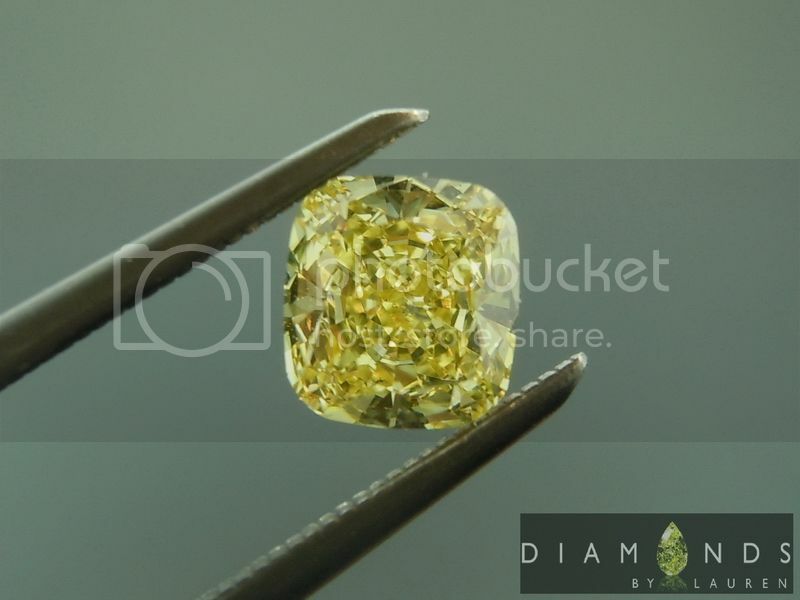 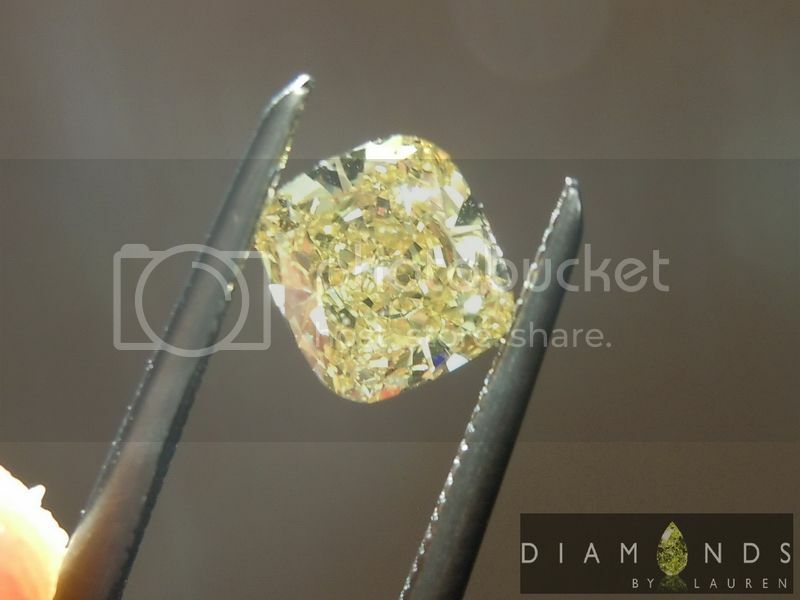 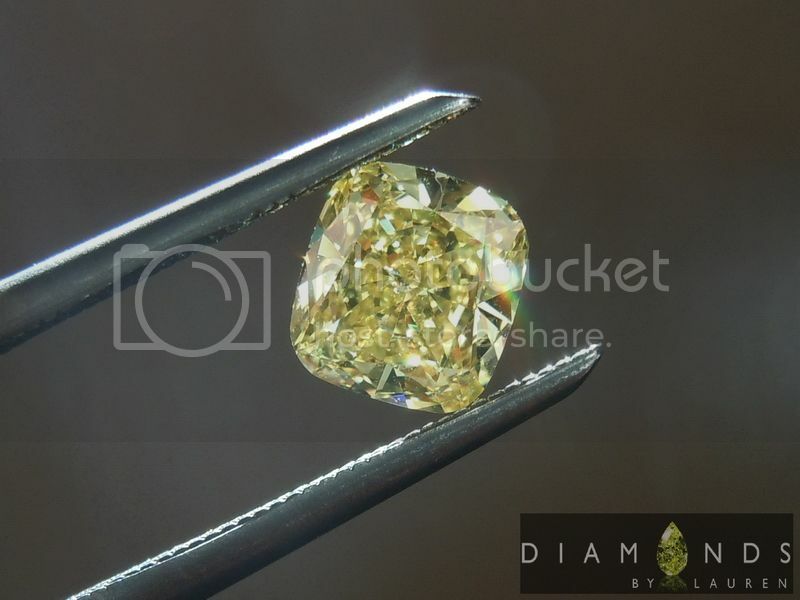 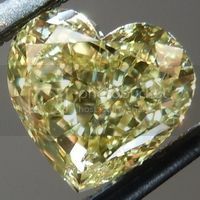 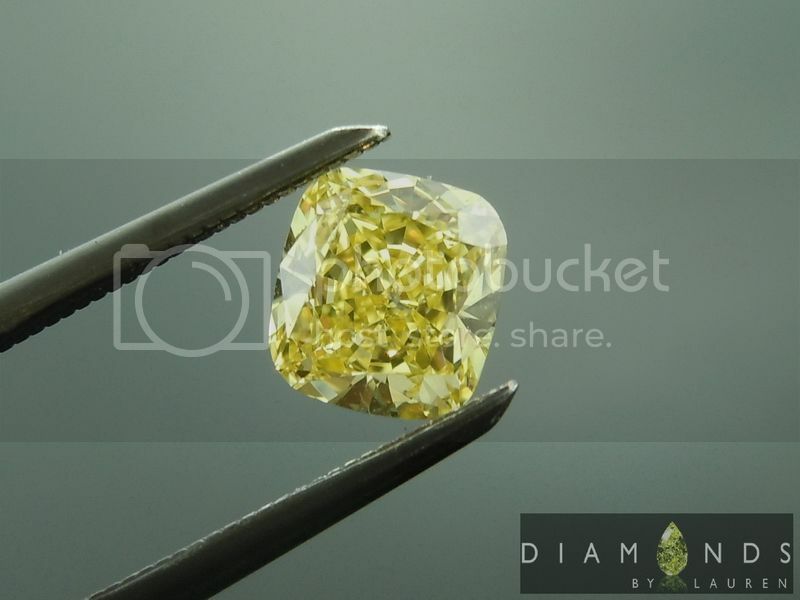 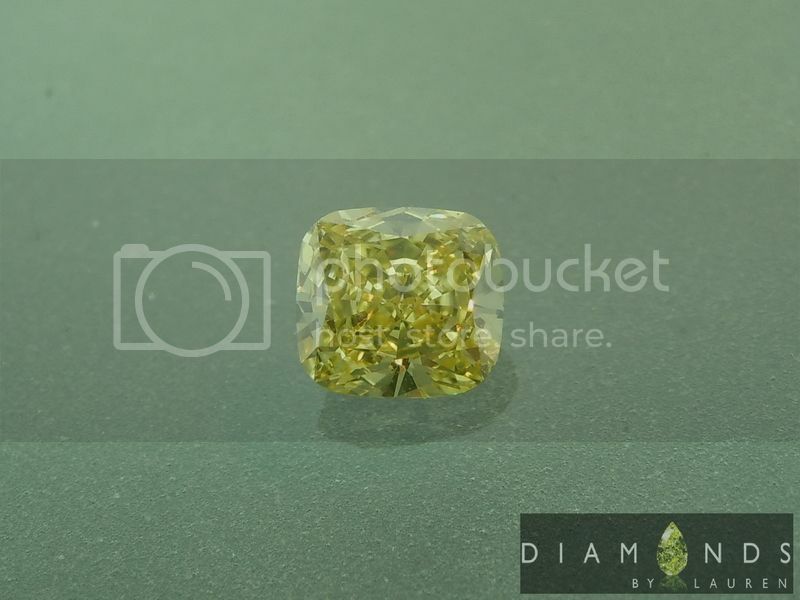 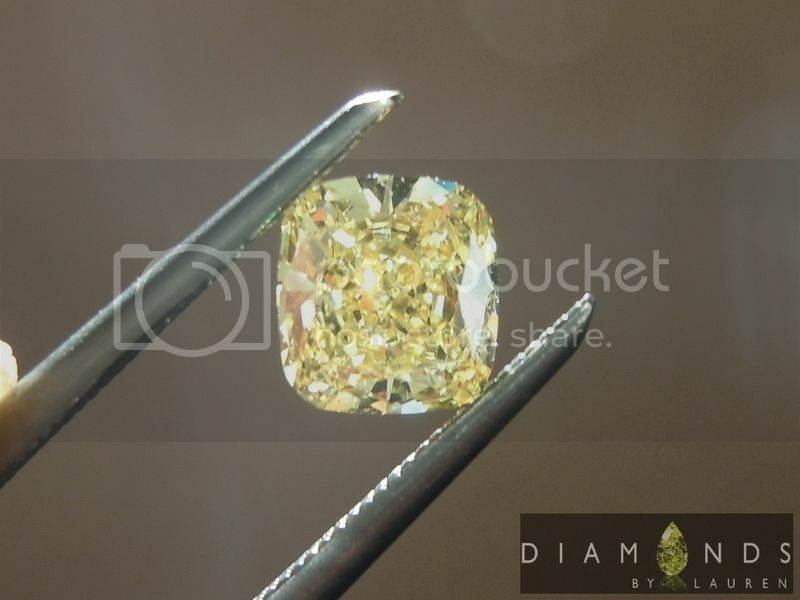 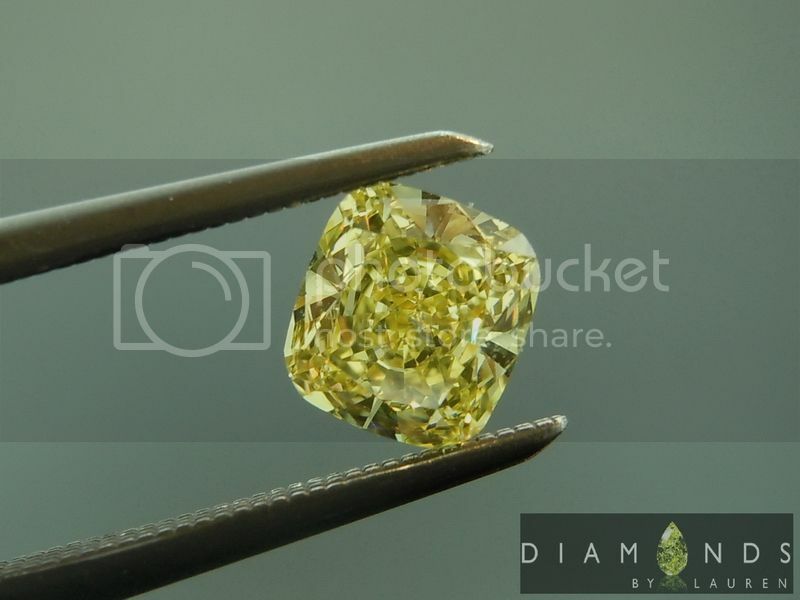 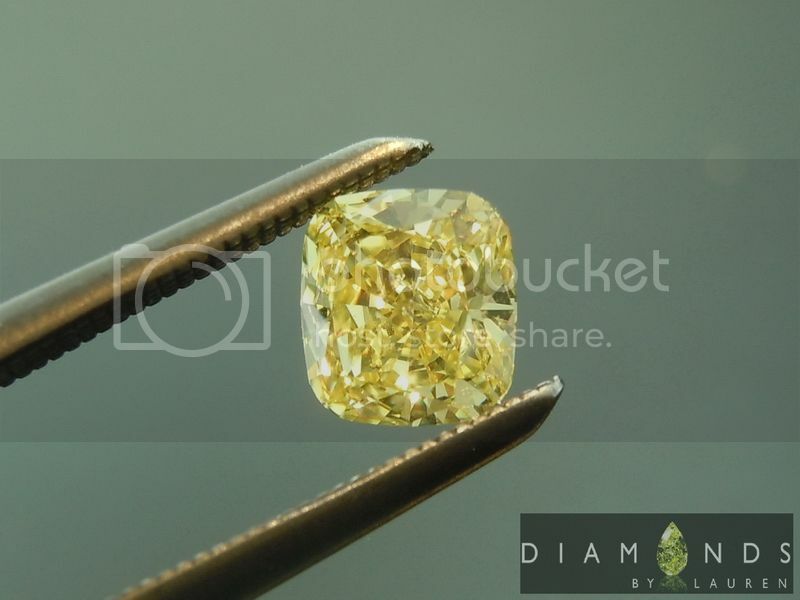 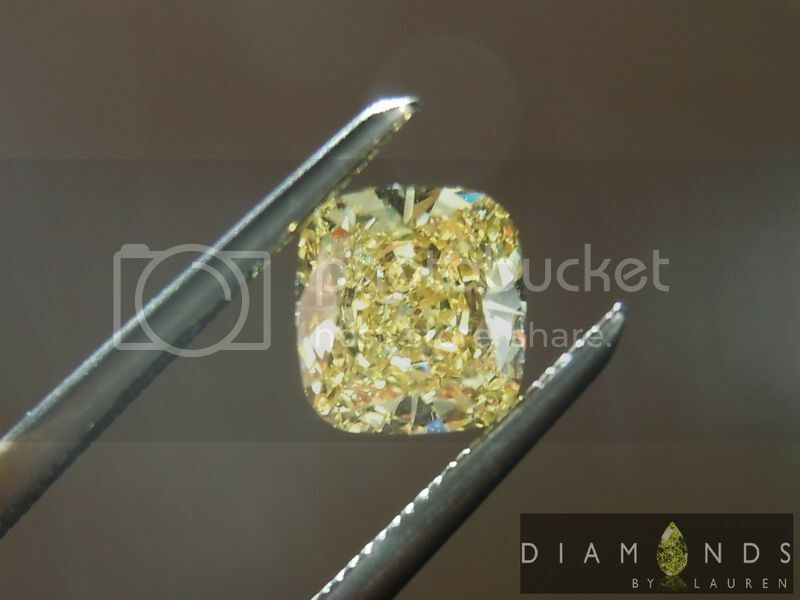 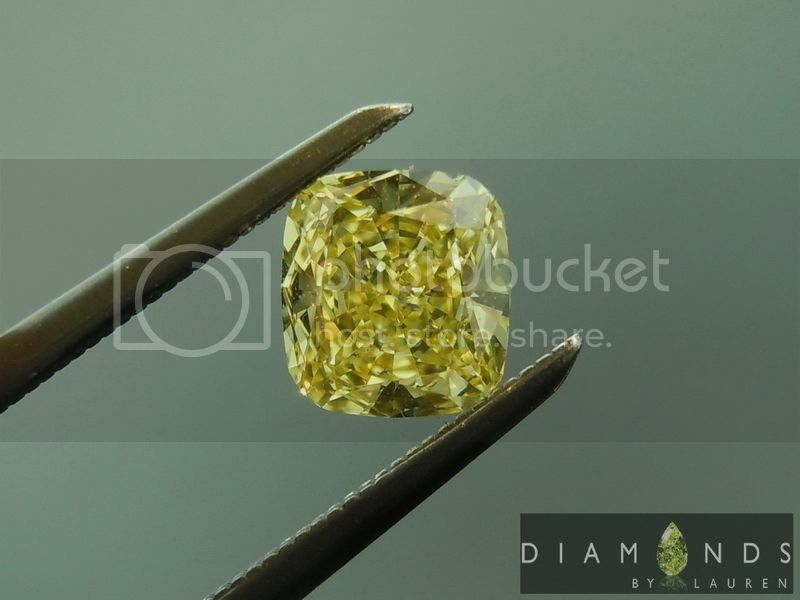 Here is a particularly nice color in a Fancy Vivid Yellow Diamond - a true pure canary yellow. 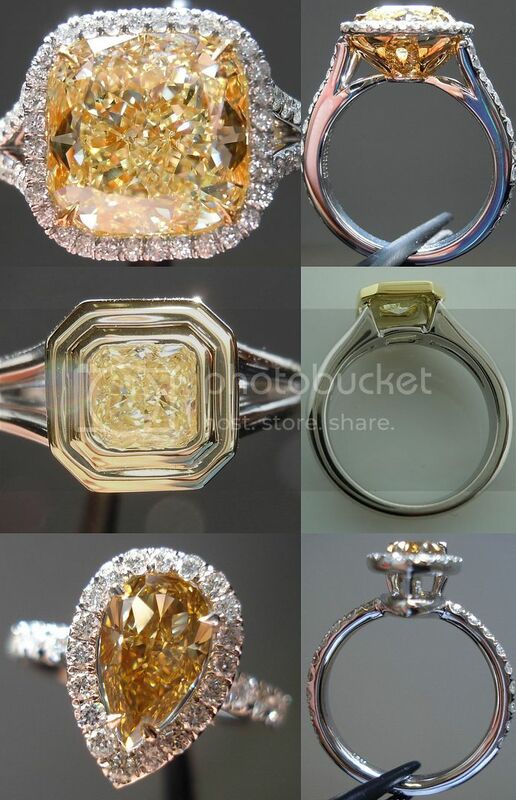 The cut? 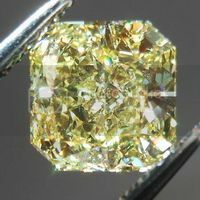 As good as you will find on a Fancy Vivid Yellow. 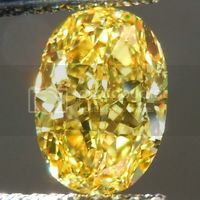 The physical face up size is remarkable for a .60ct stone - especially a vivid yellow. 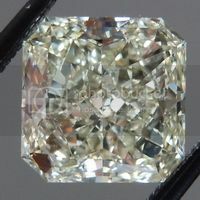 The only aspect of the stone that could be seen as a negative is the crystal in the table. 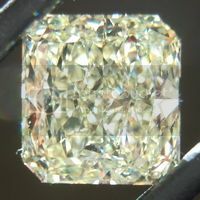 GIA graded the diamond SI2. 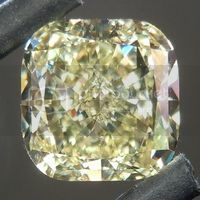 it's easy to see this imperfection with a loupe, but I can not make it out with my naked eye. 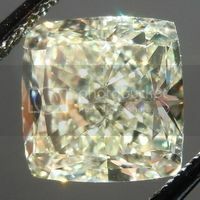 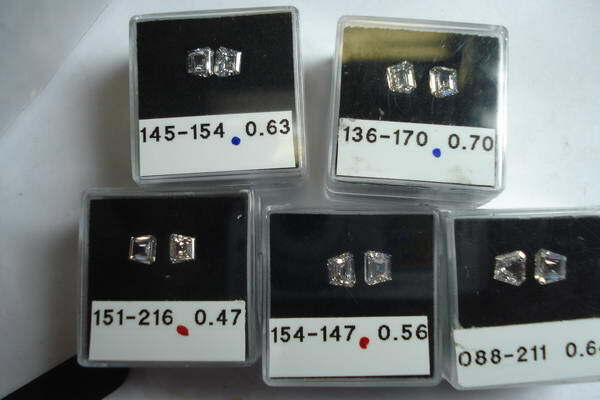 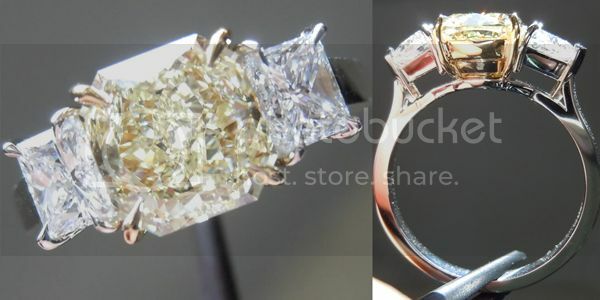 The good thing about this clarity is that the stone is literally half the price it might be as a VS. Plus, a lot of the more costly VS stones out there don;t have near this quality of cut.